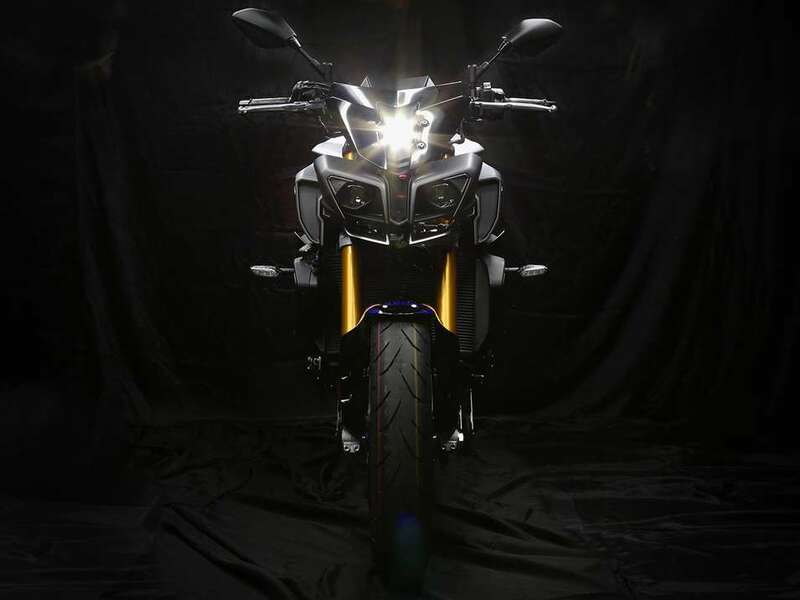 The new MT-10SP reigns at the top of the MT family tree like an apex predator. It adds a lot of what makes the YZF-R1M so awesome to offer a supreme street riding experience. 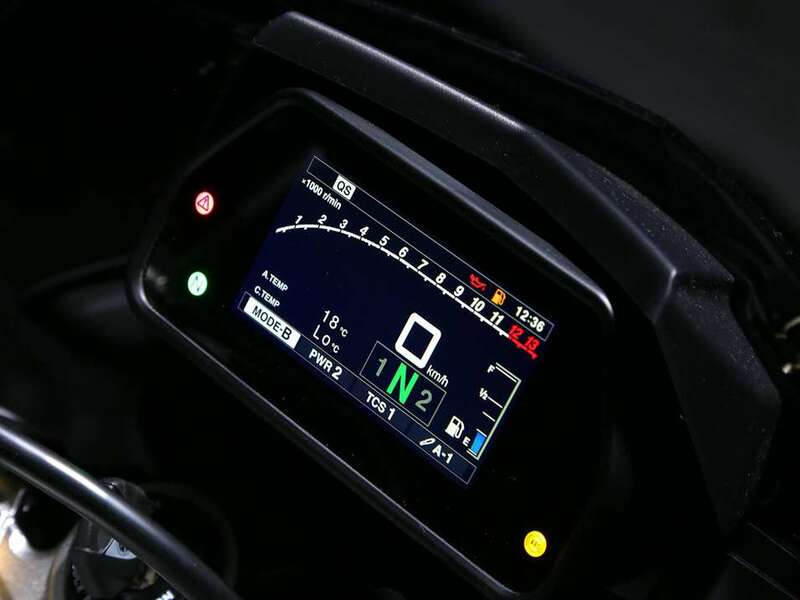 This special version of the MT-10 is equipped with Öhlins Electronic Racing Suspension for the highest degree of control - as well as an exclusive full colour TFT meter panel and special racing colours based on the YZF-R1M. A three stage Traction Control System, Assist & Slipper clutch and standard Quick Shifter System give you the technology to harness the 998cc engine’s brutal power - while the hefty linear torque combined with outstanding chassis agility give this bike definitive street credentials. 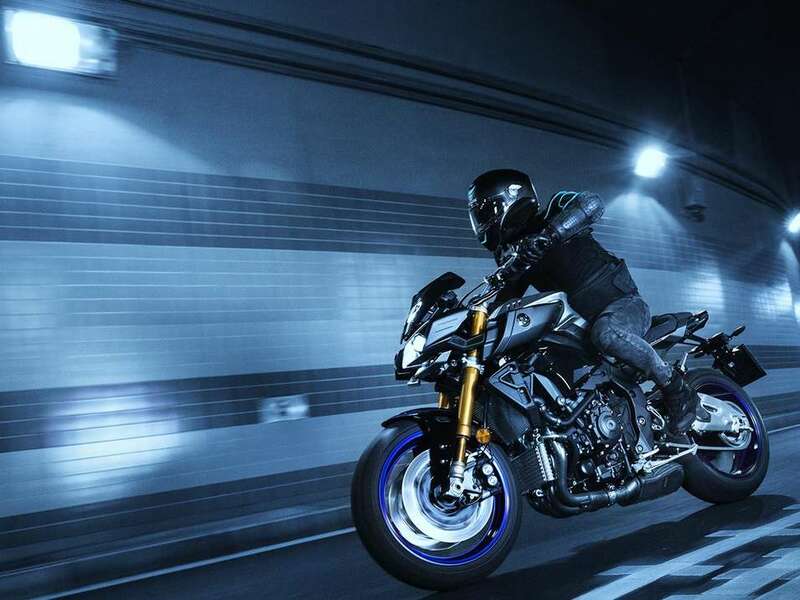 The MT-10SP's advanced A and S clutch is similar to that used on the new generation YZF-R1, and its compact and sophisticated design offers a number of advantages to the rider when accelerating and decelerating. 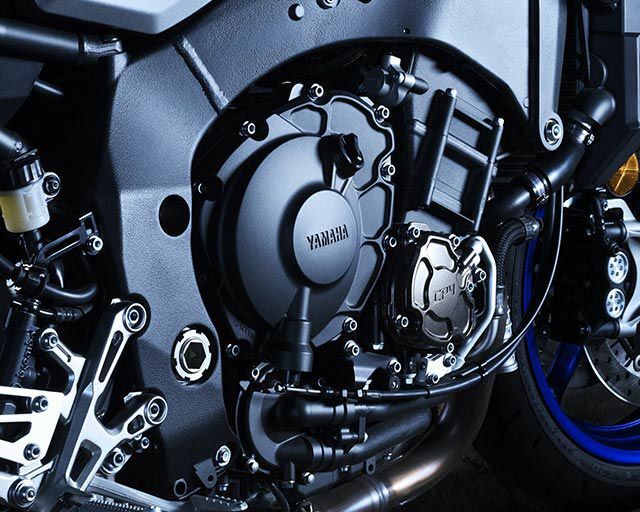 The key feature on Yamaha's A and S clutch is its specially designed slanting cam that is located between the clutch boss and the pressure plate. 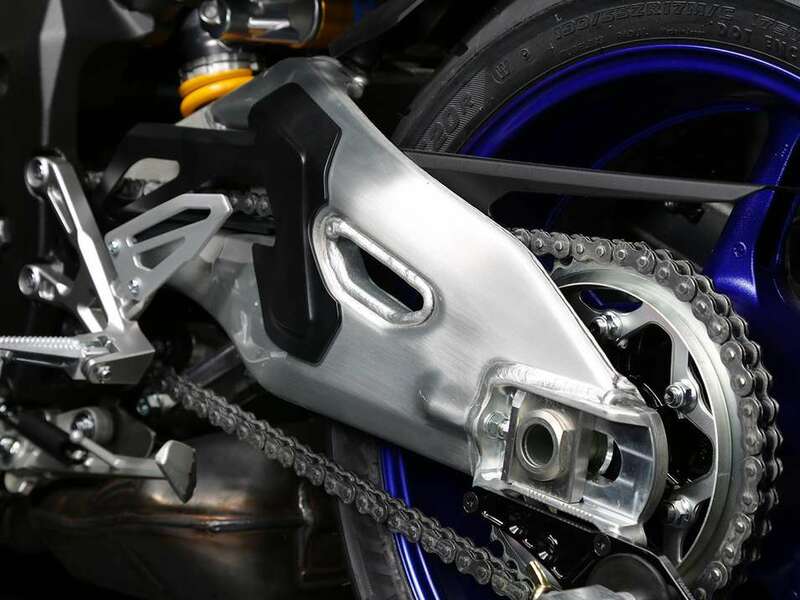 During deceleration, the slanted cams allow the pressure plate to slip out to some degree allowing the clutch to absorb the rear wheel's back torque for controlled deceleration and increased riding comfort. With its angular components and array of small air gaps, the MT-10SP's strong and angular face perfectly captures its character: light, high-tech, aggressive, powerful, and more! The menacing dual LED headlights sit beneath a compact mask and flyscreen, and the whole front assembly is mounted directly to the frame to accentuate the feelings of agility and lightness. 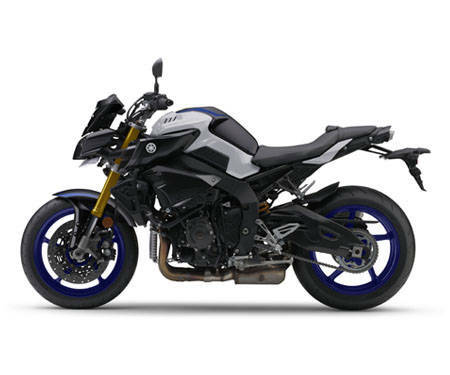 The design of the wide shouldered fuel tank cover with strong angular edges and duct shaped covers, together with the use of compact side cowls and the dual headlight front mask - accentuate the MT-10SP's aggressive mass forward silhouette. 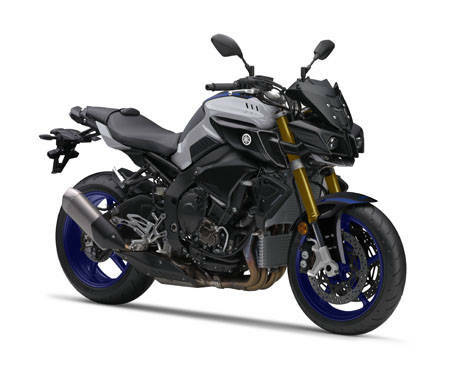 To enable the rider to enjoy the power and performance of the MT-10SP in different conditions, it comes equipped with a 3-mode Traction Control System (TCS) that can be deactivated if required. The system works by monitoring any slippage in the rear tyre, and when this is detected the YCC-T automatically controls throttle opening, ignition timing and fuel injection volume to restore rear wheel traction for increased control. 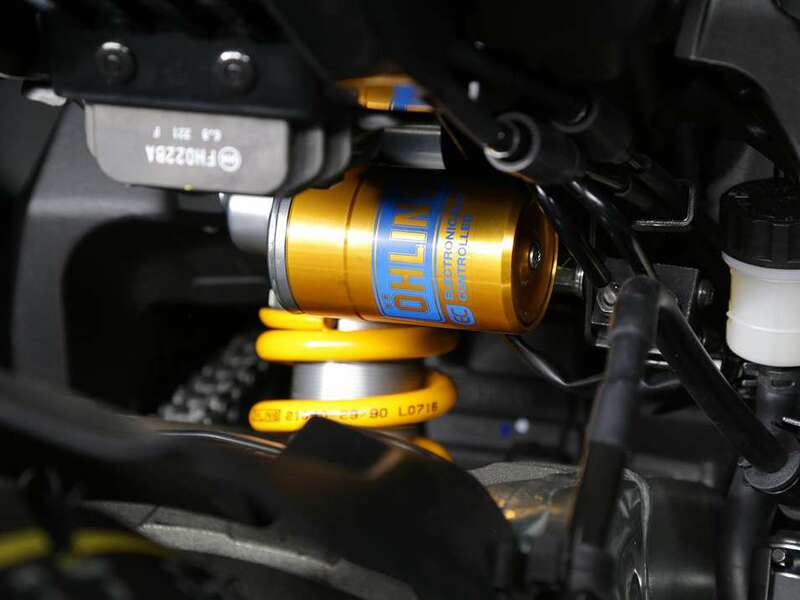 Level 1 has the lowest degree of TCS intervention and is designed for sporty riding, while level 2 is suitable for normal street riding, and level 3 is for use in wet or slippery conditions where rear wheel traction is particularly low. 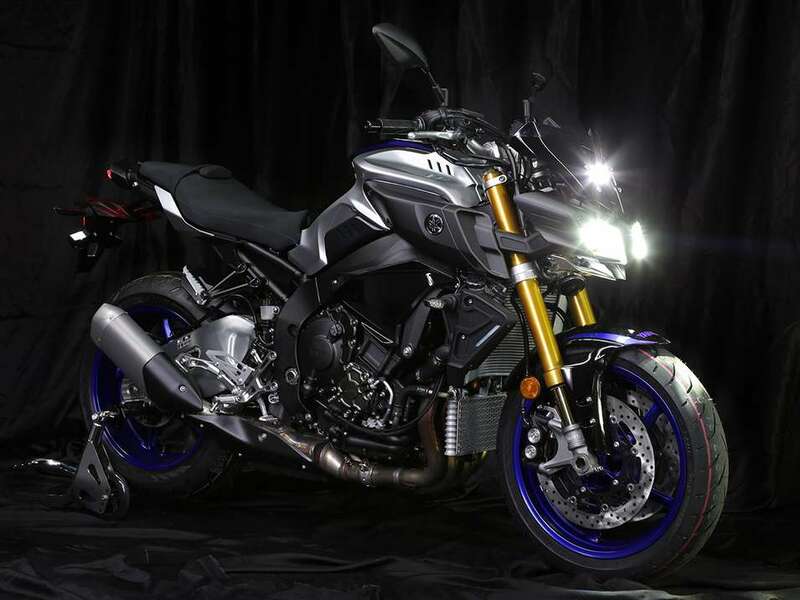 The MT-10SP's chassis has been developed from the new generation YZF-R1. To enhance the new MT's all round comfort in typical day-to-day usage, the Deltabox frame has a revised strength/rigidity balance that delivers outstanding handling agility together with class-leading controllability and accurate feedback. 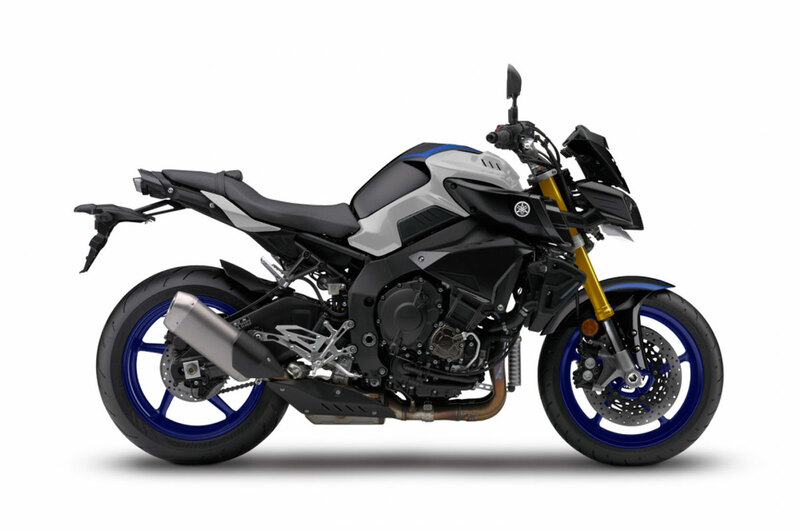 The MT-10SP engine has been developed directly from the latest YZF-R1's 998cc in line 4-cylinder crossplane engine that is widely regarded as one of most advanced and exciting designs in its class. For ultimate torque emotion for day to day street usage, the engine features a number of significant technical changes designed to deliver strong low to mid speed torque, including newly designed intake, exhaust and fuelling systems, as well as an optimised crank balance. These changes have resulted in excellent drive across the whole RPM range with peak torque coming in at 9000RPM. The MT-10SP is fitted with dual 320mm diameter floating front discs that feature radial-mount 4-pot opposed piston callipers with sintered pads. 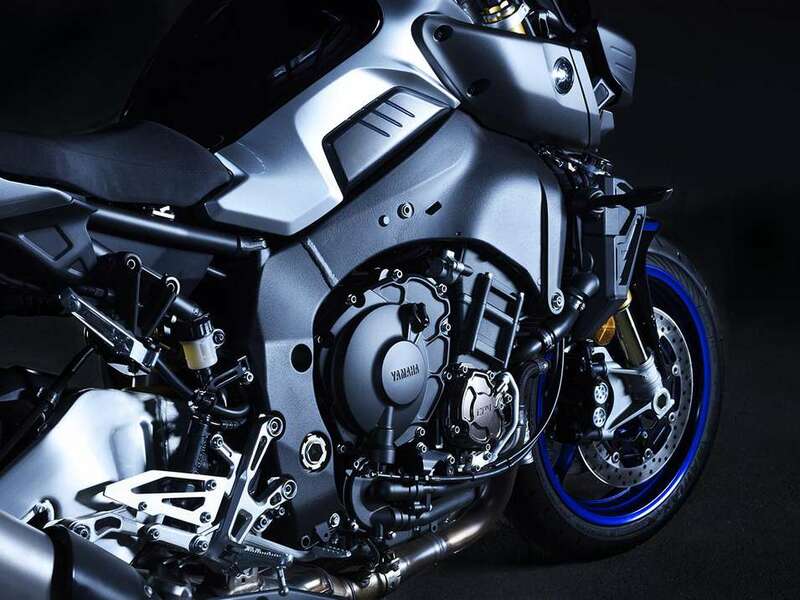 This high-specification design is one of the most powerful and effective systems fitted to a naked bike, and gives the MT-10SP rider an excellent balance of controllability together with outstanding braking power. 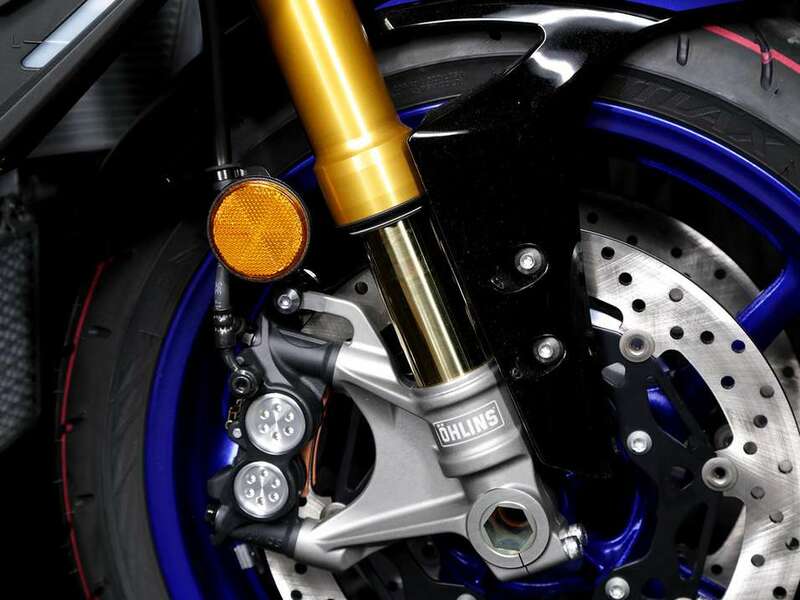 The supersport-class front braking system is matched with a 220mm rear disc with a pin-slide calliper that gives plenty of feel and precise feedback, and ABS is fitted as standard. 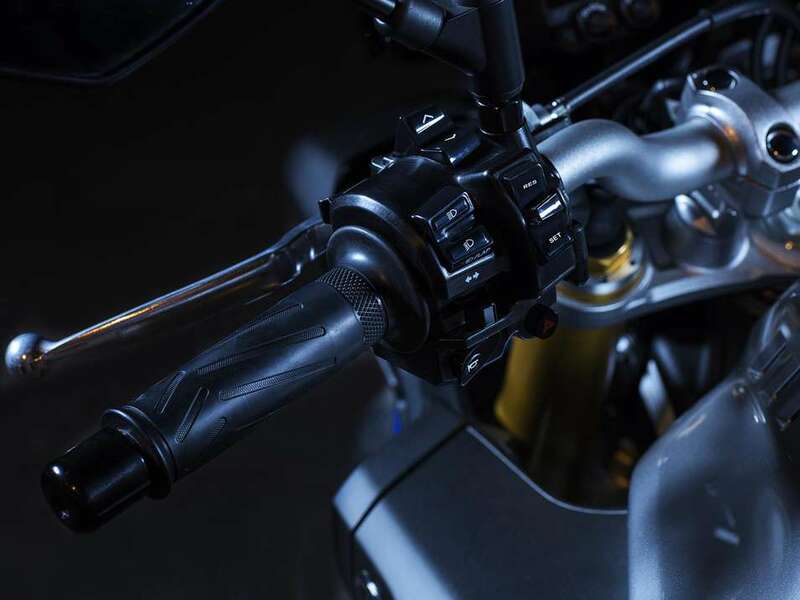 For faster clutchless upshifting when accelerating hard, the MT-10SP is equipped with a new Quick Shift System (QSS). By momentarily cancelling drive torque when an upshift is detected, the QSS gives even more thrilling acceleration through the gearbox. 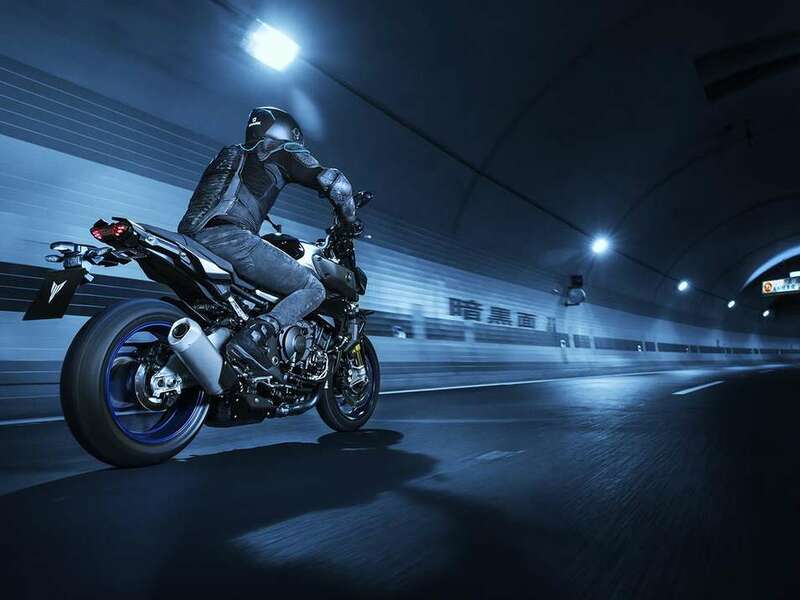 For more relaxed and enjoyable riding the new MT-10SP comes equipped with a cruise control system that can be activated in 4th, 5th and 6th gears above 50km/h. 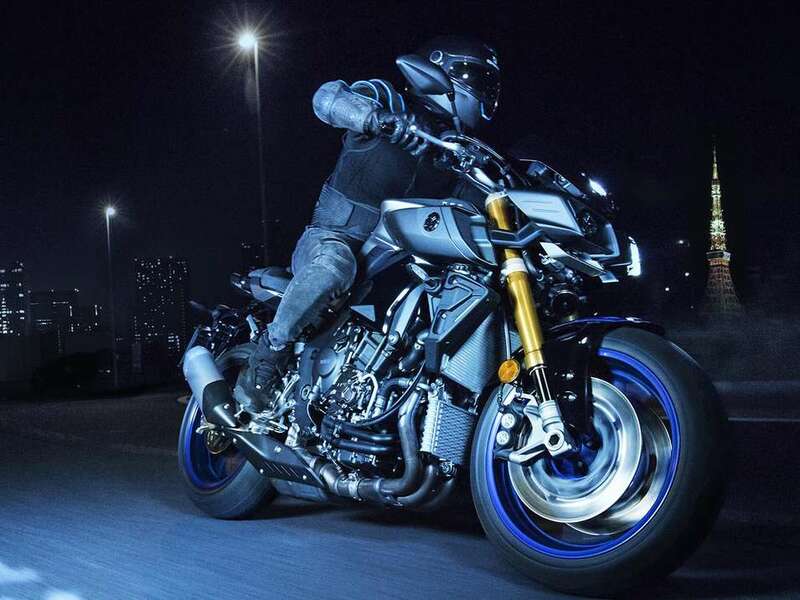 A switch on the left handlebar turns the cruise control on or off, and once it is activated, the Yamaha Chip Controlled throttle (YCC-T) maintains the selected speed of the bike whether riding uphill, downhill or on a level road. Speeds can be increased in 2 km/h increments with a push of the switch, and any setting is automatically cancelled by activating the brakes, clutch or throttle - while the 'Resume' switch restores he cruise control to its last-used speed.